Rimelia reticulata, one of the "cracked ruffle lichens", on hardwood bark, southern Mississippi. This lichen is a traditional ingredient in the Indian spice mixture, Kabul Garam Masala. 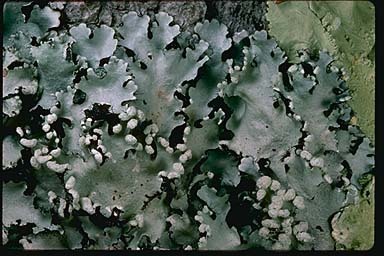 The Tepehuan of Chihuahua, Mexico, used this lichen in a tea to relieve discomfort from kidney disorders or venereal disease.